An ultra-powerful cleaner for the rapid removal of heavy soiling from water washable surfaces. This multi-purpose product is a concentrated alkaline degreaser with added penetrating power from water soluble solvent. 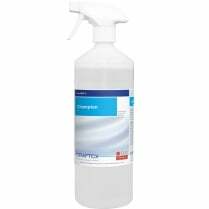 Champion Ultra emulsifies grease, grime and oils with ease and suspends soiling making for easy rinsing. Perfect for loosening and lifting all kinds of heavy industrial soiling from floors, walls, kitchens, food plant and machinery. Leaves surfaces clean and grease free. Dilute 1:5 for heavy duty cleaning. 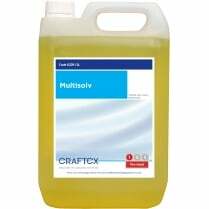 Dilute approximately 1:60 for general purpose cleaning of hard surfaces.